2016 | Technopolitan Podcast is here! Considering myself an opinionist i created Dr. Android in order to share my thoughts on one of my greatest interests, the Android platform. When my friends Salih and Vasilis asked me to start a podcast together i found the opportunity to talk about my other tech-love, the Linux platform. Thus the Technopolitan Podcast was created in which we 're "fighting" every time to... impose our opinion to one another. 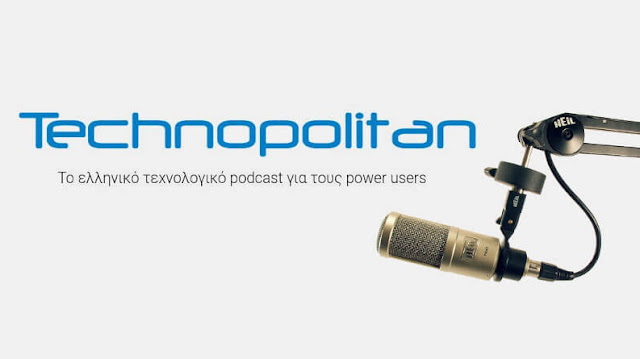 This podcast is in Greek language and we try to keep a loose and friendly atmosphere. It's a project we started with main goal to do something that we love, to entertain our listeners and at the same time educate anyone interested in the same things we do. That was a brief analysis of what Chris Karasoulis can do. If you like what you see there is more! Using the form below, you can ask for a printable PDF version of my CV, where you can find even more details about my knowledge, experience, hobbies and other details.